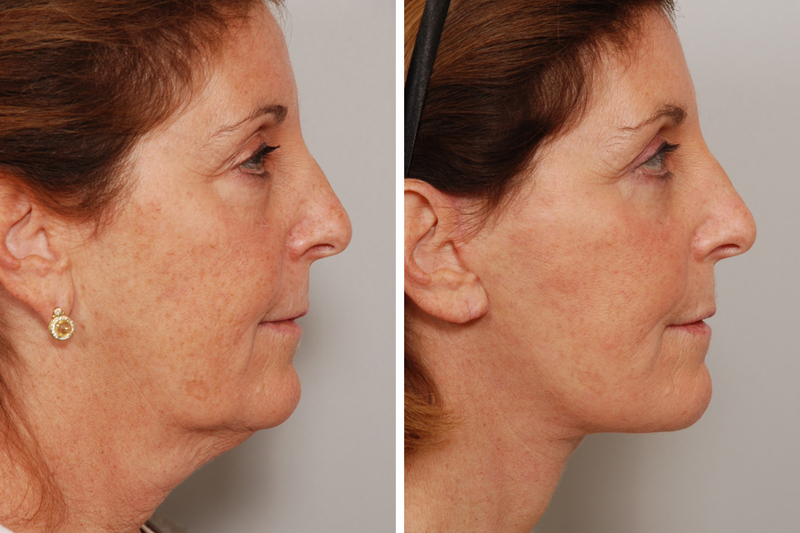 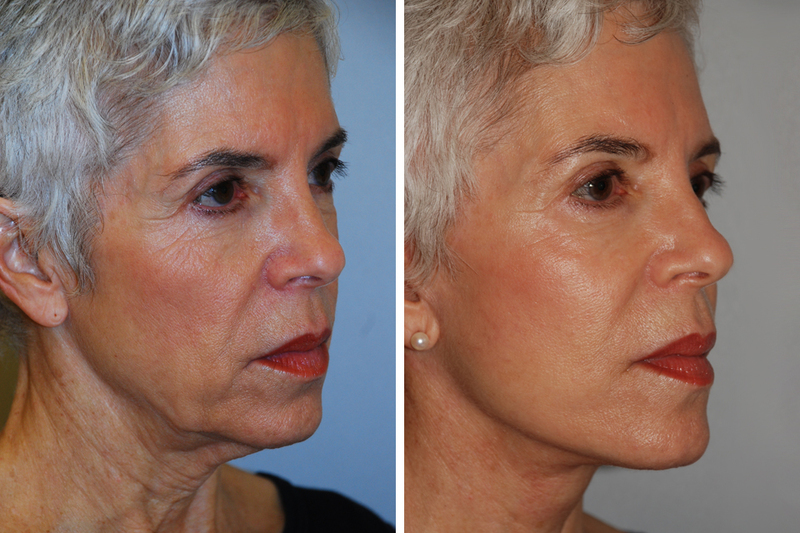 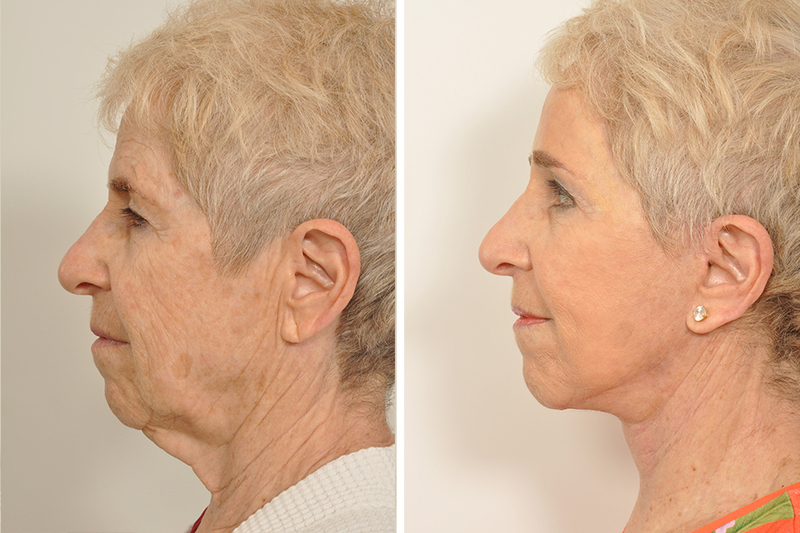 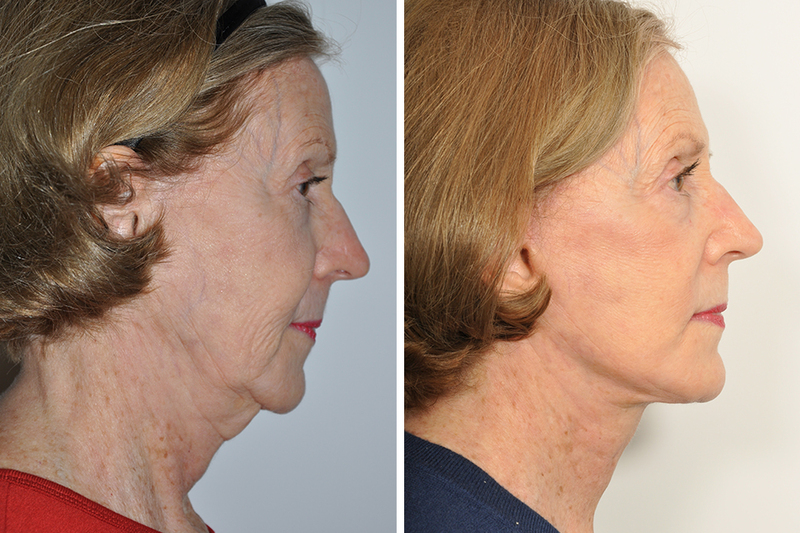 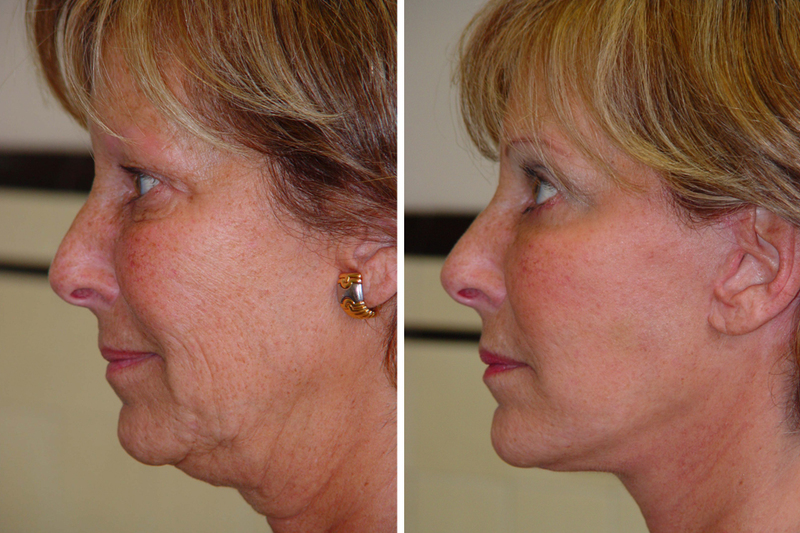 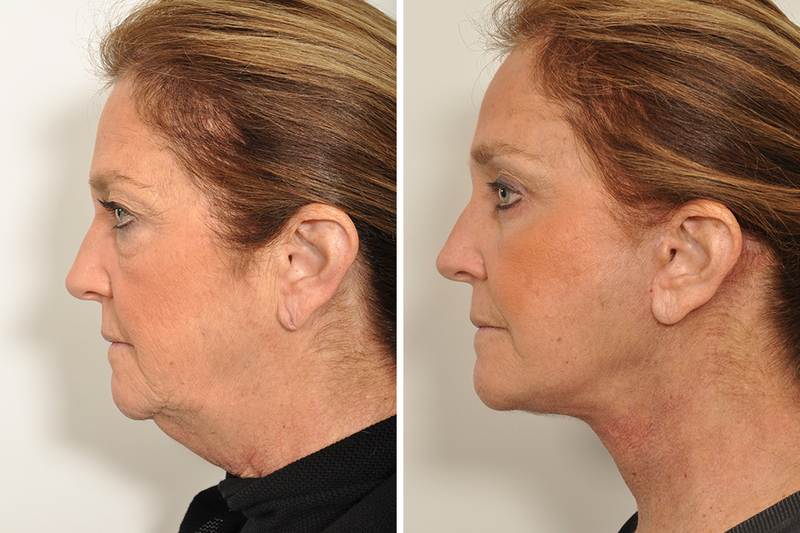 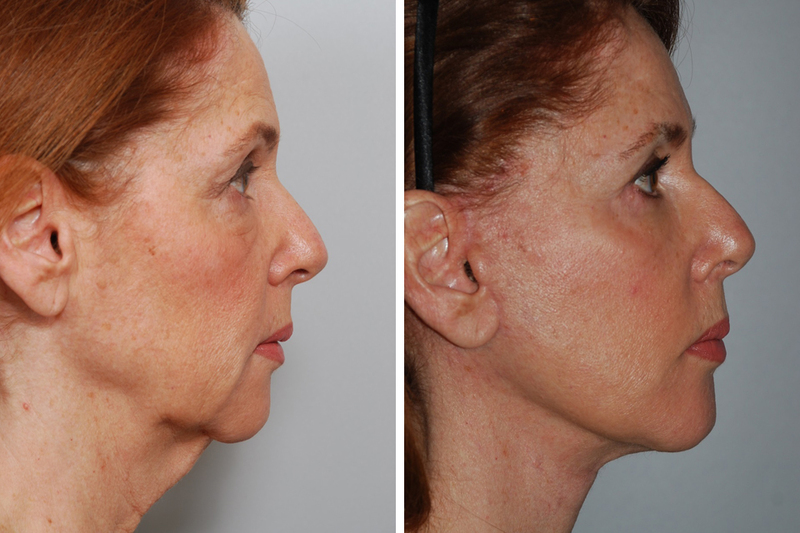 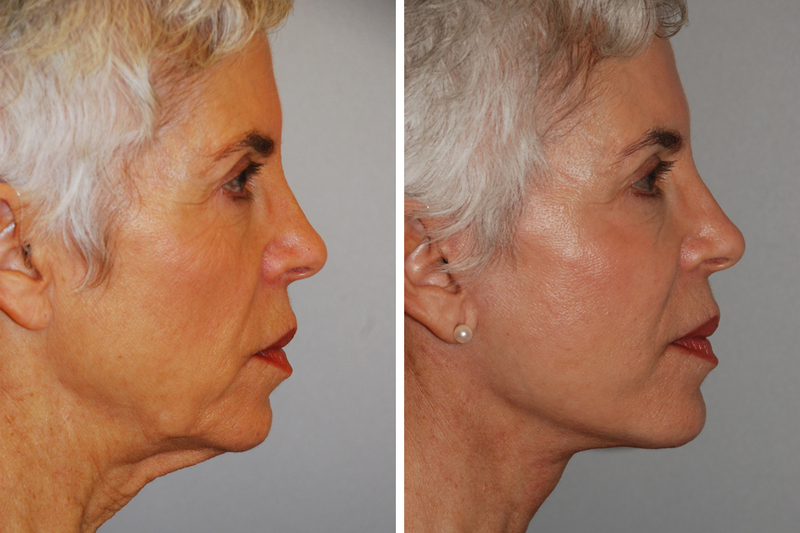 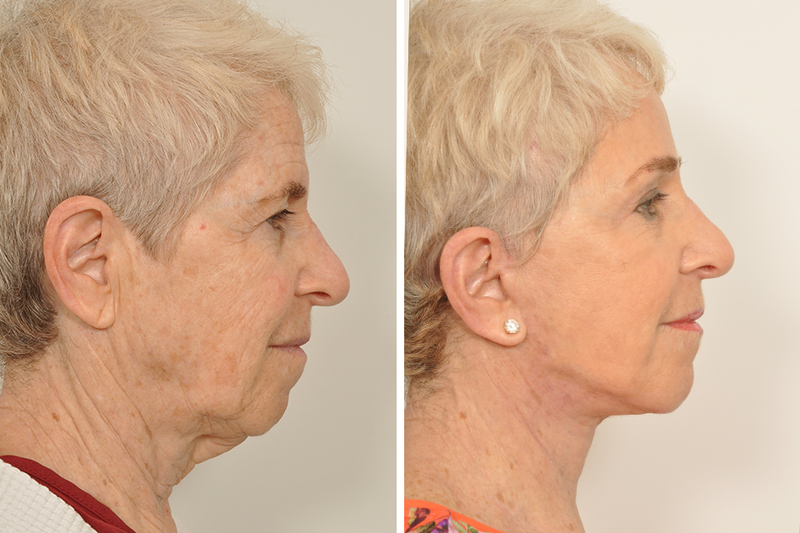 Dr. Rosenberg improves the surface appearance of the face through his complete platysma muscle suspension that occurs underneath the skin. 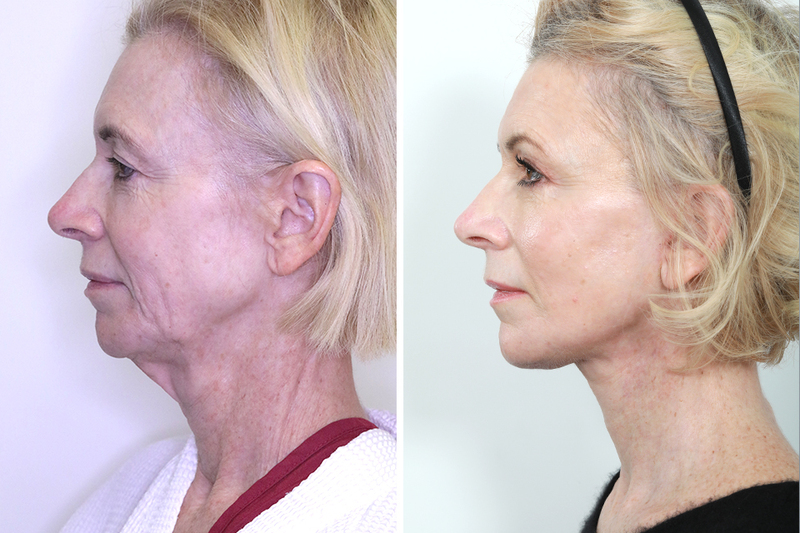 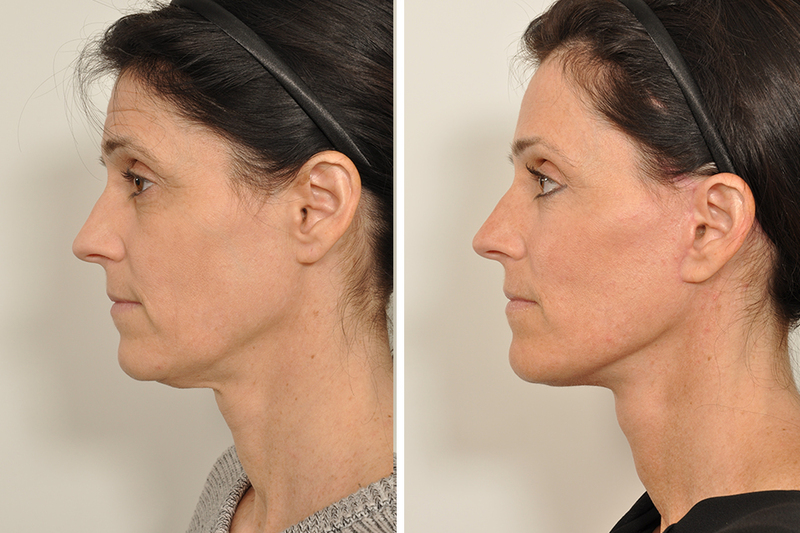 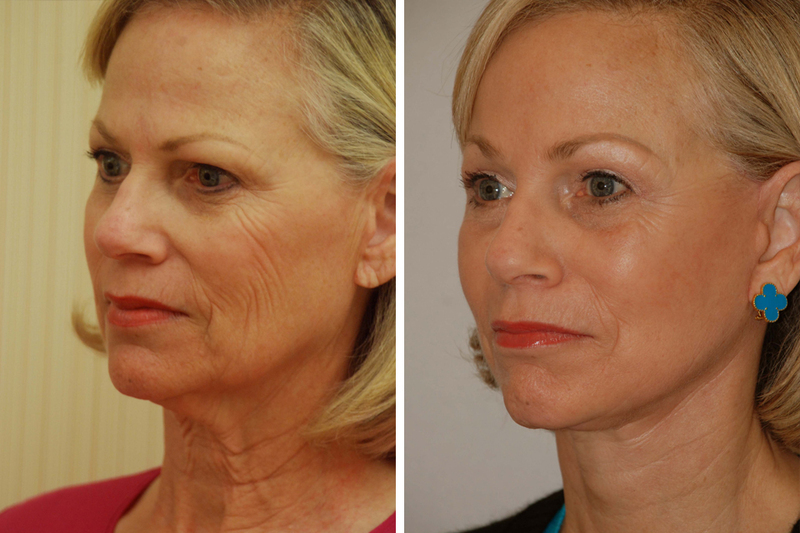 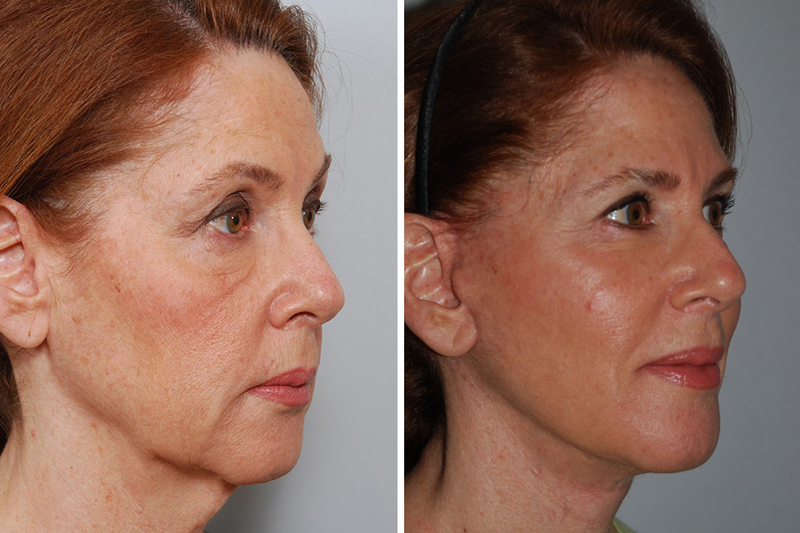 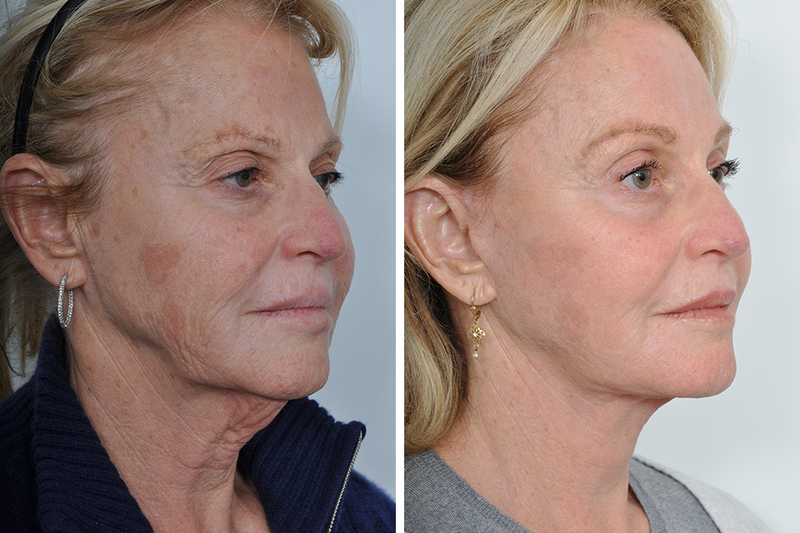 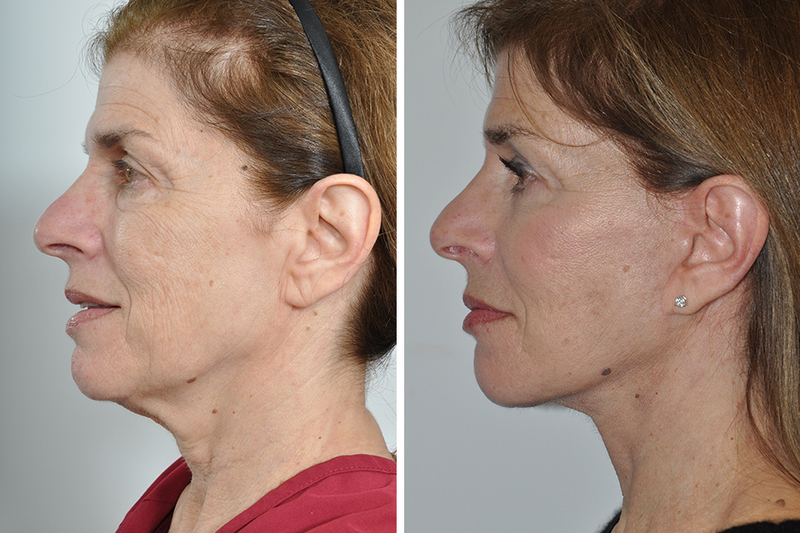 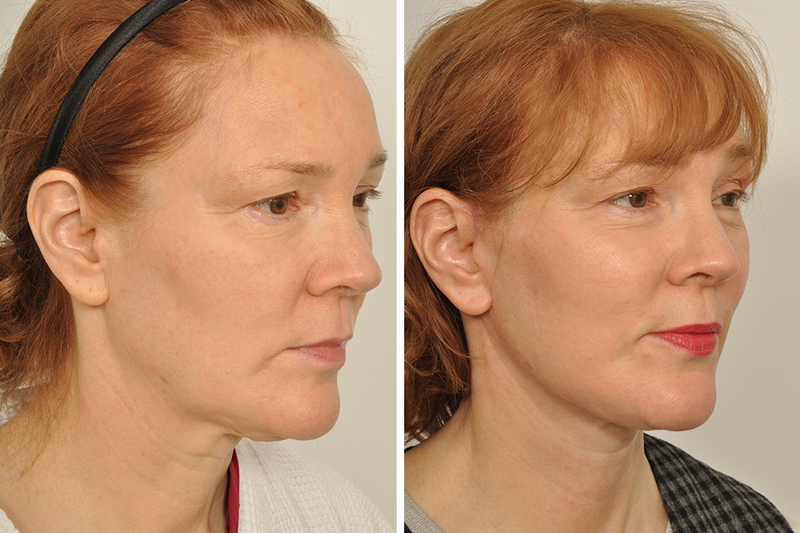 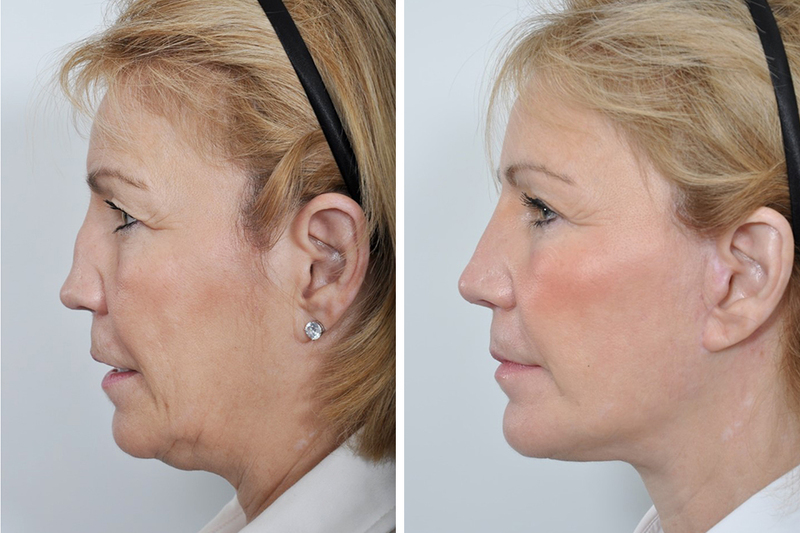 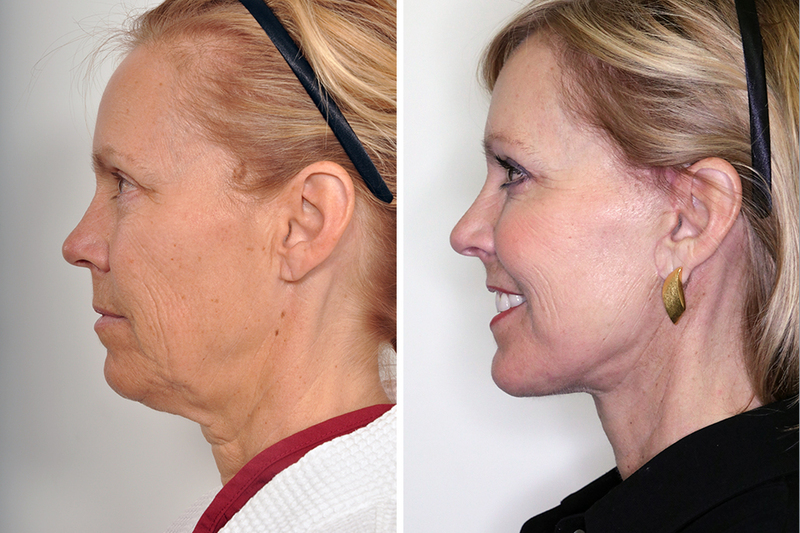 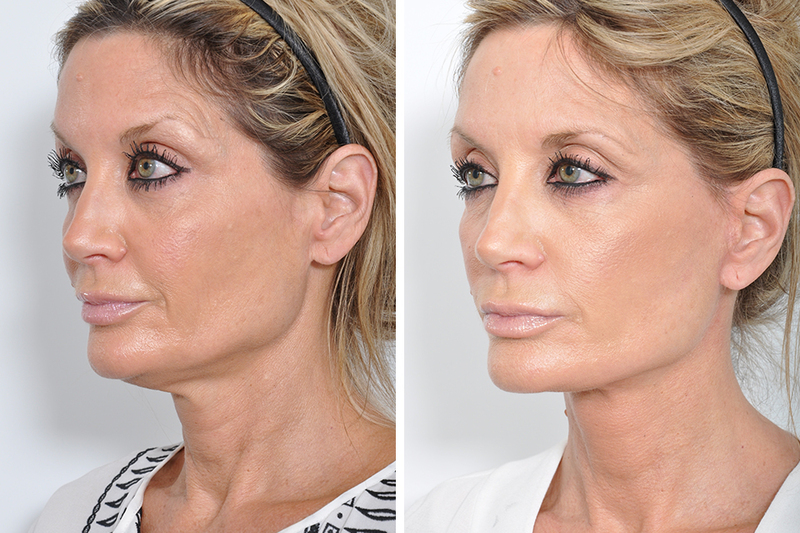 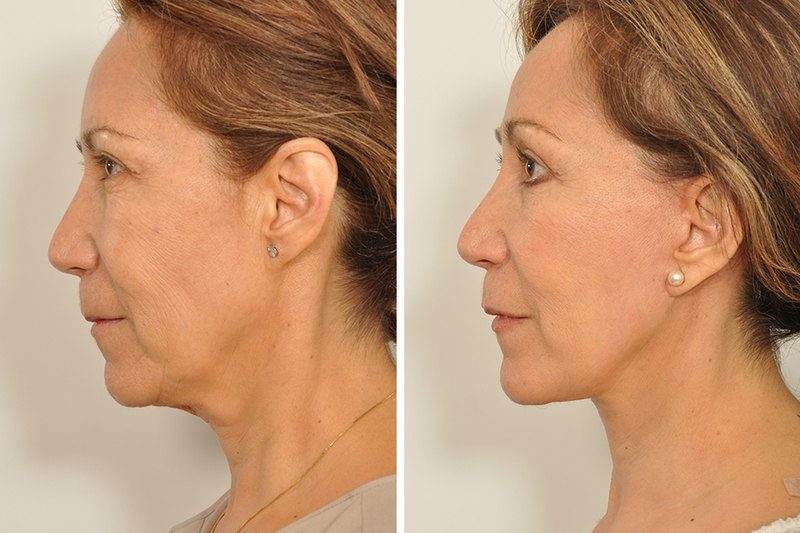 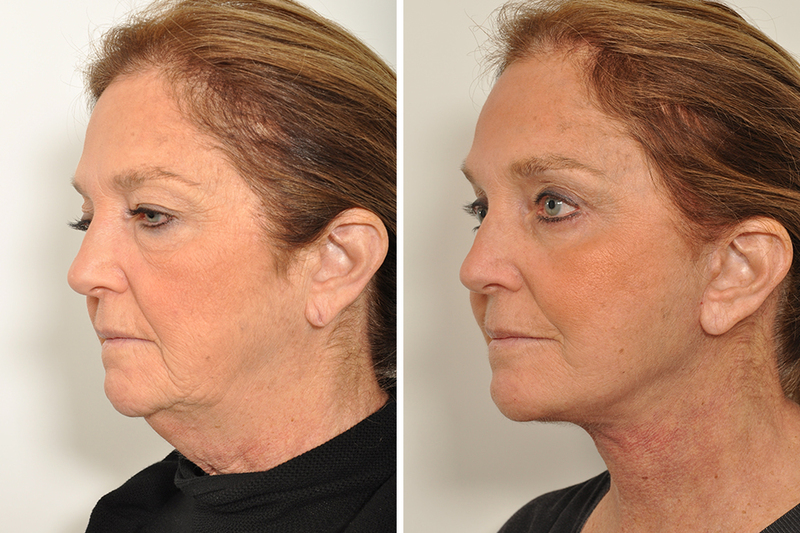 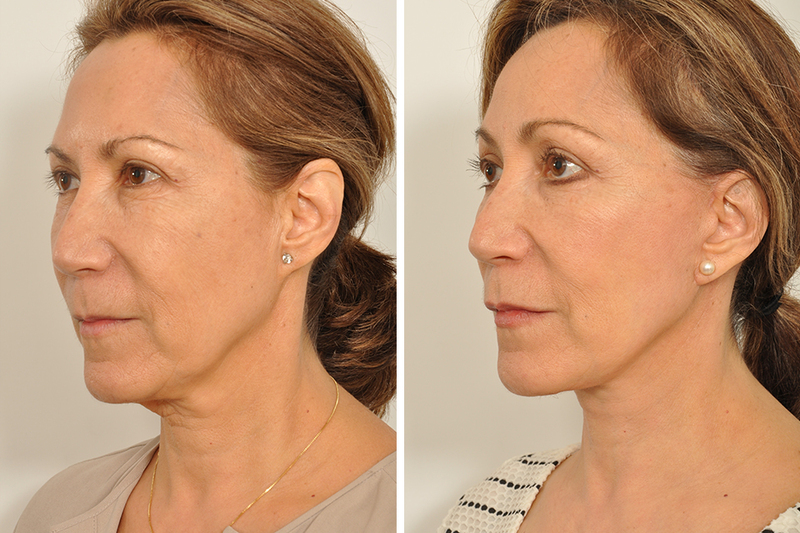 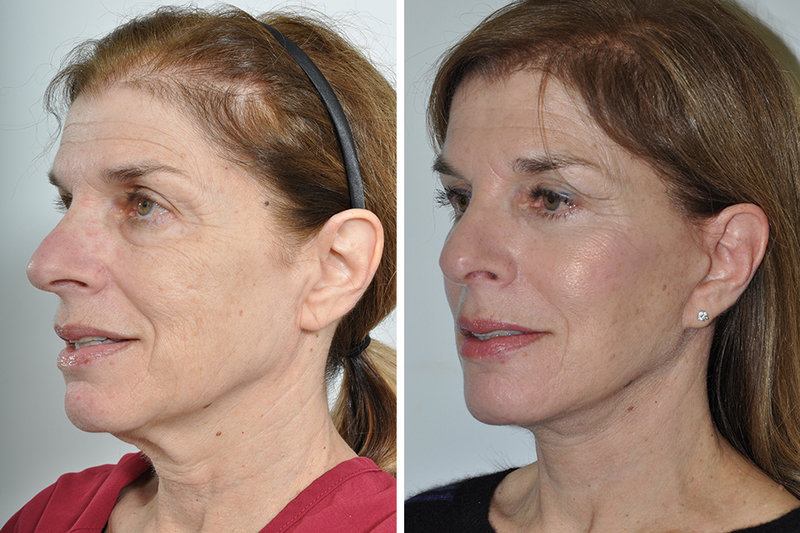 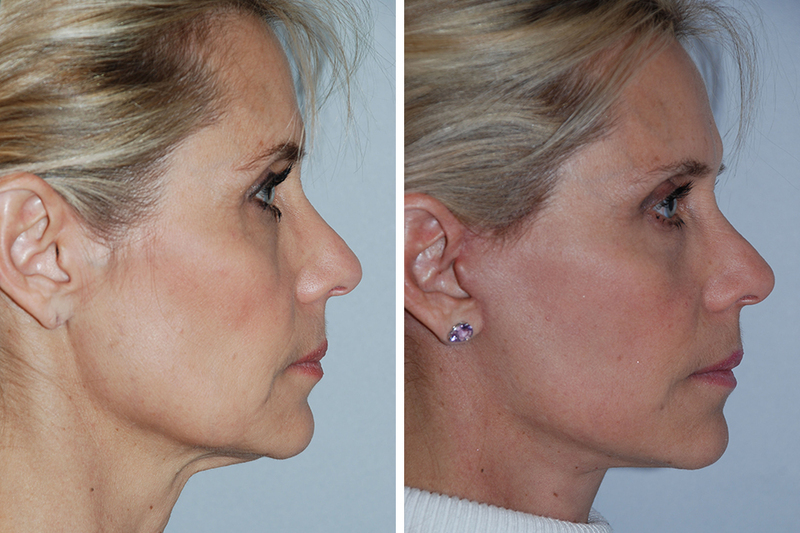 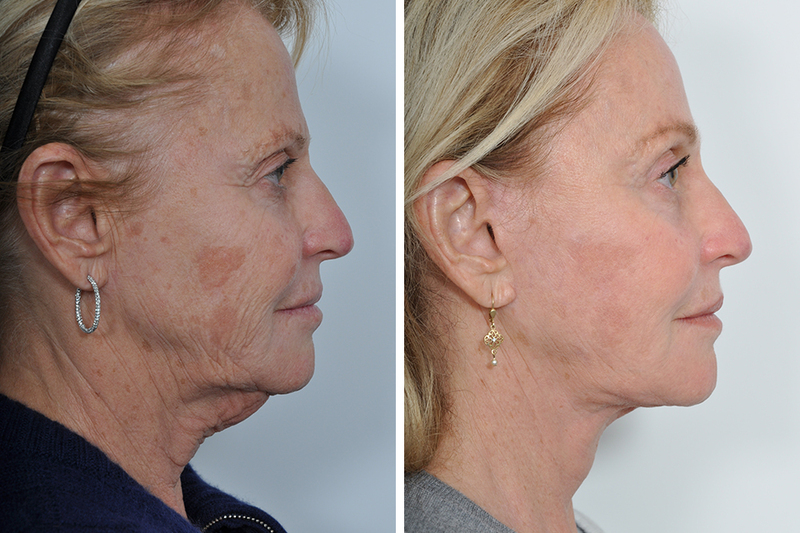 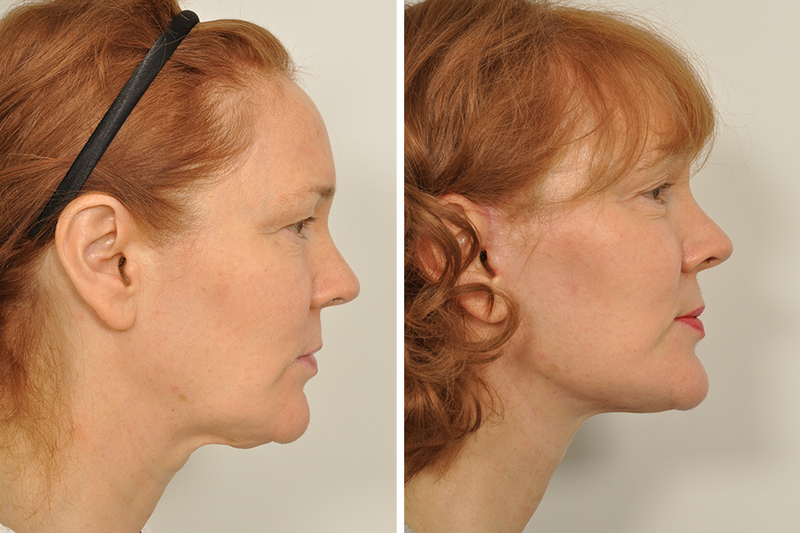 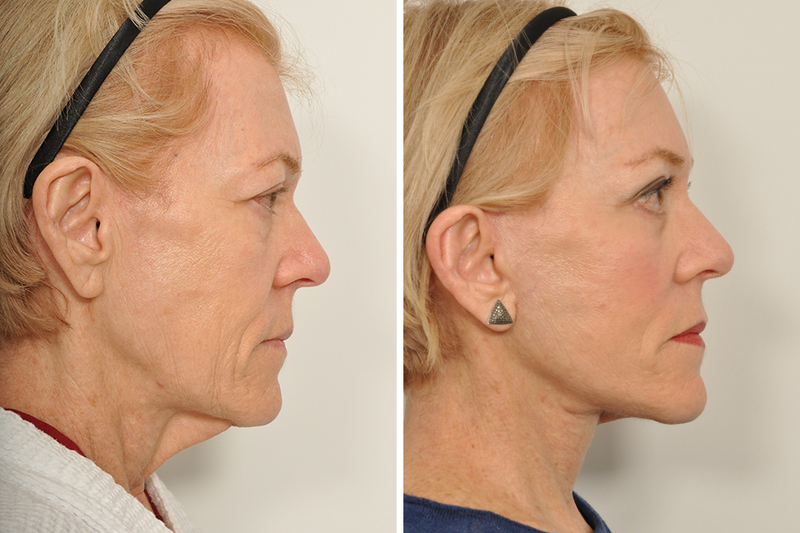 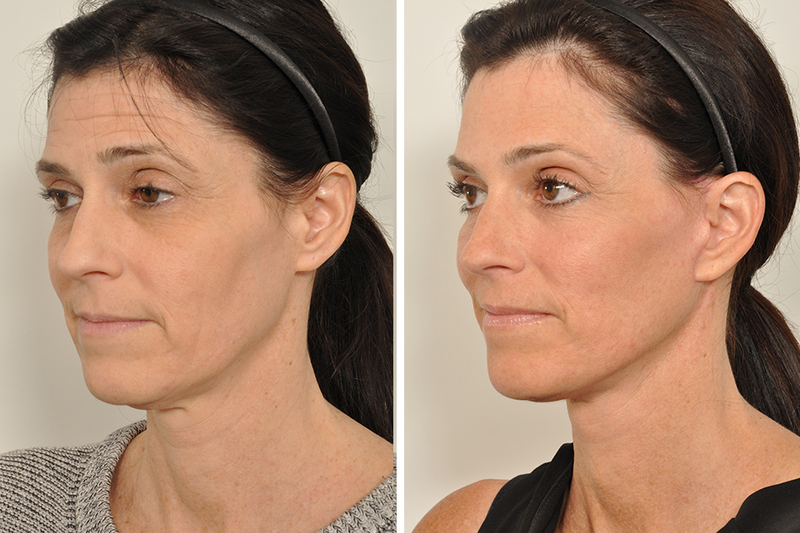 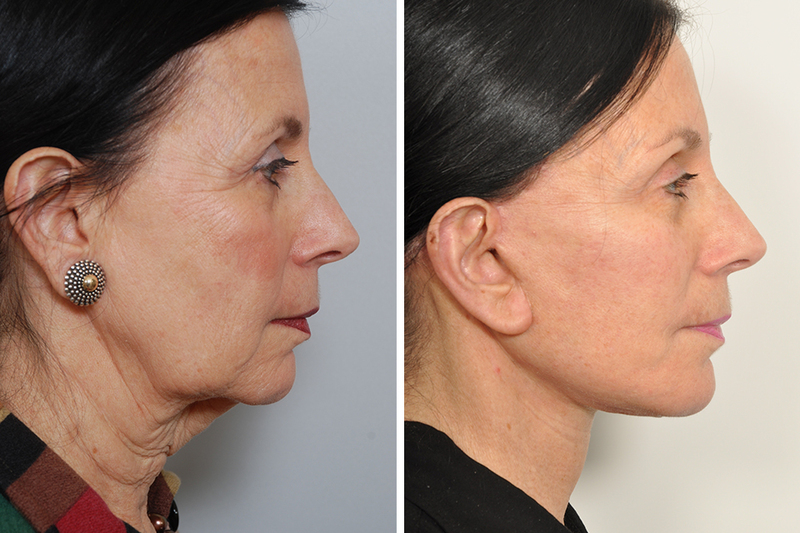 This correction is soft, smooth, and defined, matching Dr. Rosenberg’s aesthetic goals. 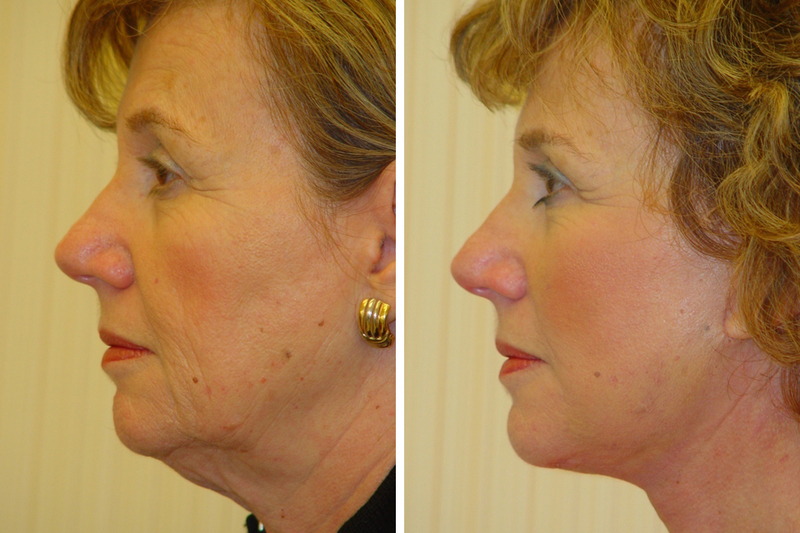 The nose is the most defining characteristic of the face. 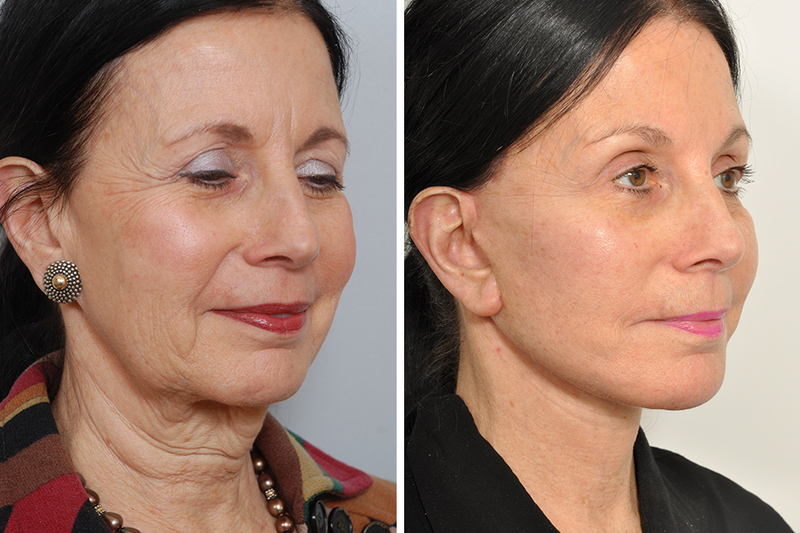 When beautiful, it highlights the eyes, the mouth, and the cheeks. 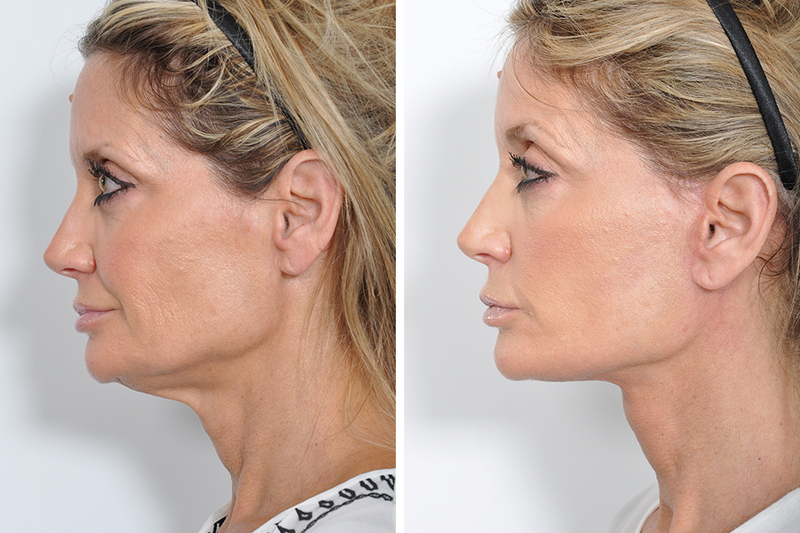 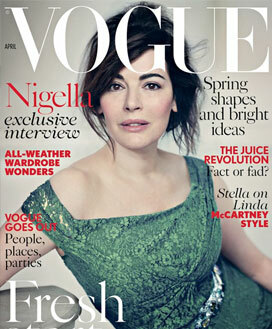 When the nose is out of proportion, the whole face becomes less appealing. 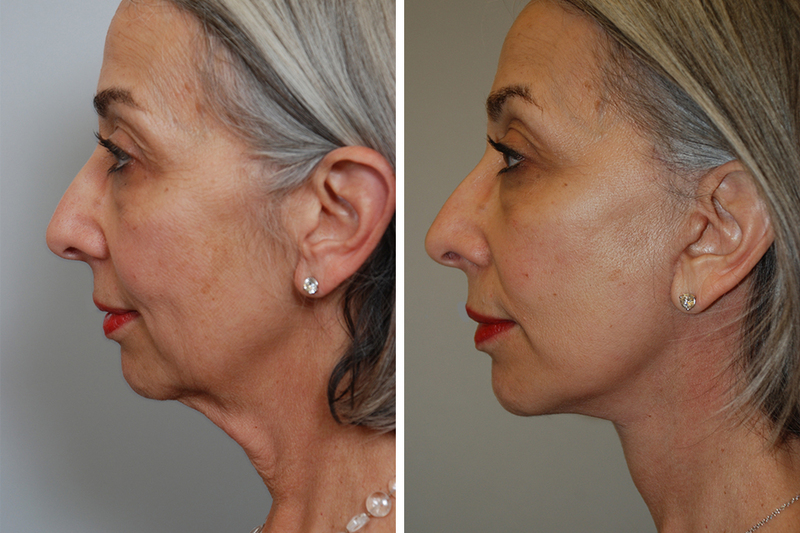 This is why a rhinoplasty can have such a huge effect on one’s appearance and self image. 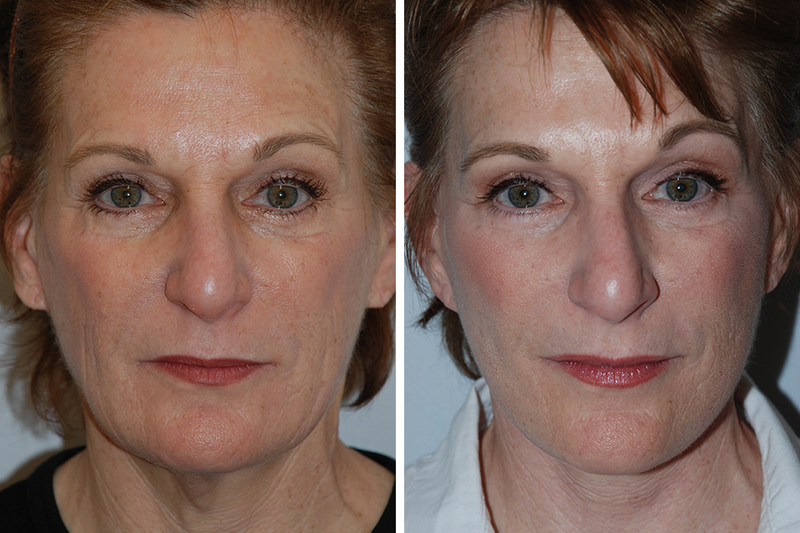 The eyelids are typically the first region of the face to show signs of aging. 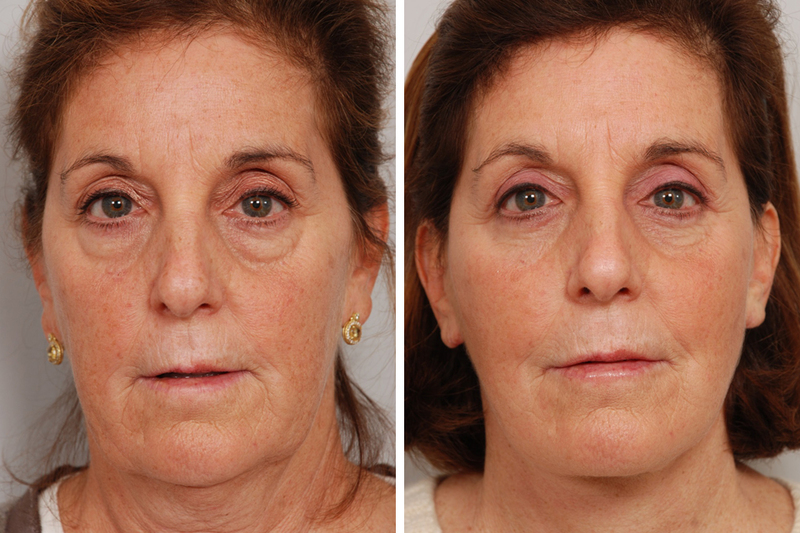 Often by the time one reaches his or her mid-thirties, the upper eyelids develop hanging skin and the lower lids build up fatty bags, which progressively creates a tired appearance. 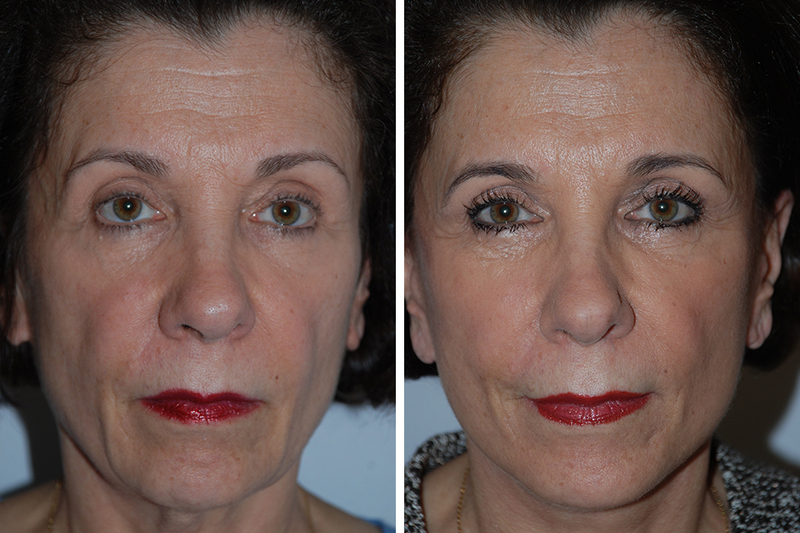 Blepharoplasty (eyelid surgery) is the name of the operation which effectively corrects these cosmetic changes. 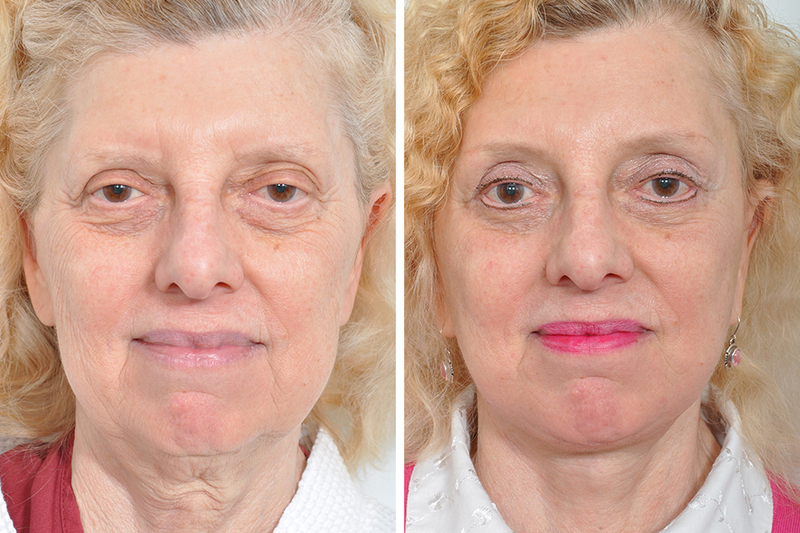 With advancing age the eyebrows often fall downward. 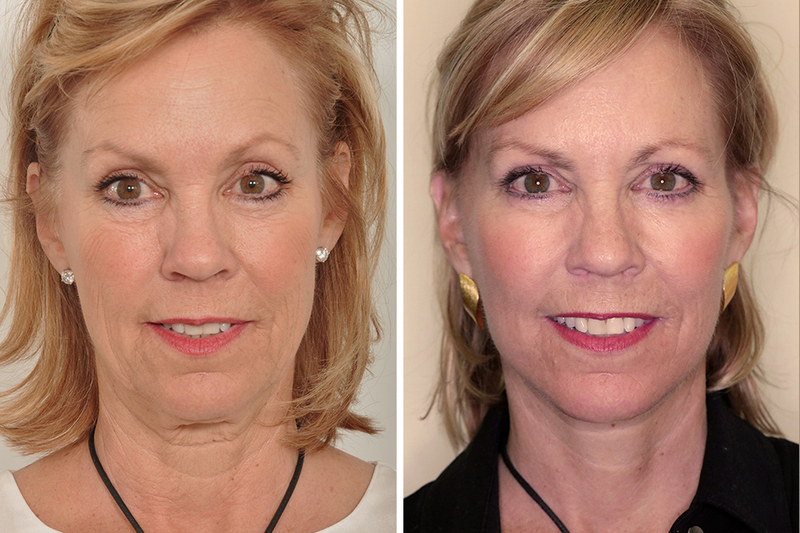 This descent creates a tired appearance and forehead wrinkles. 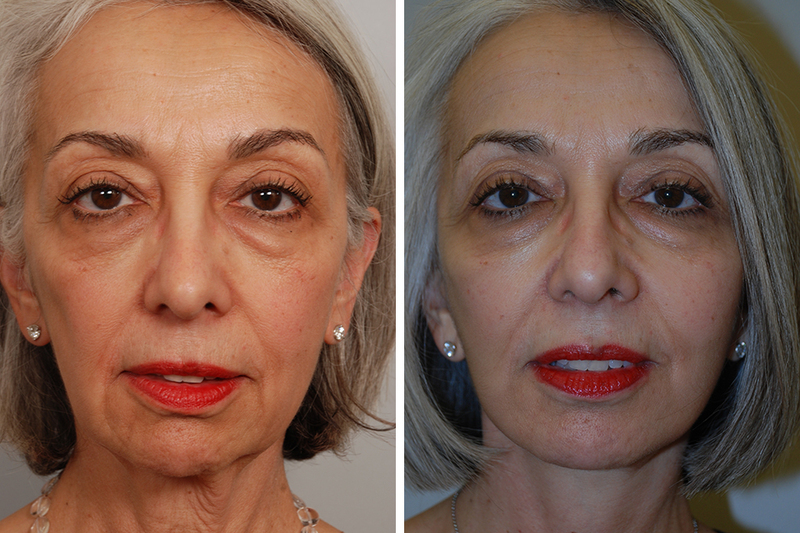 An endoscopic brow lift (sometimes referred to as a “forehead lift”) treats droopy eyebrows, achieving a natural and youthful result. 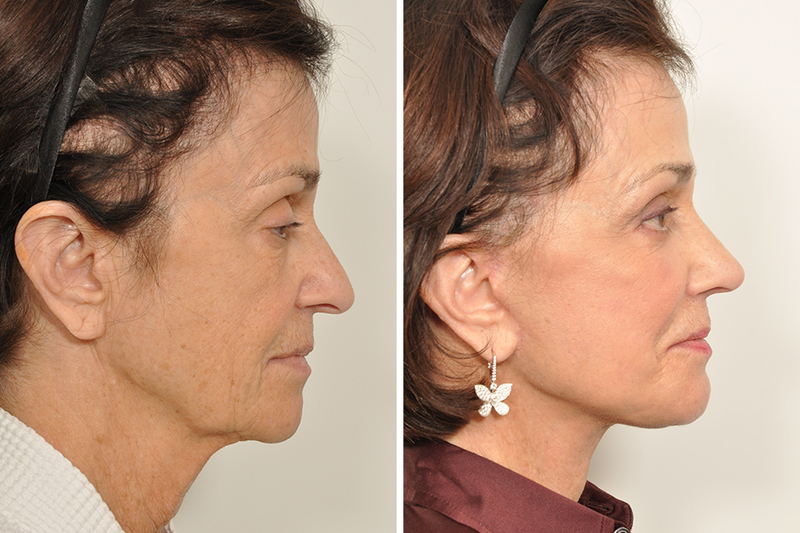 Ears that protrude too far from the head bother many children and adults. 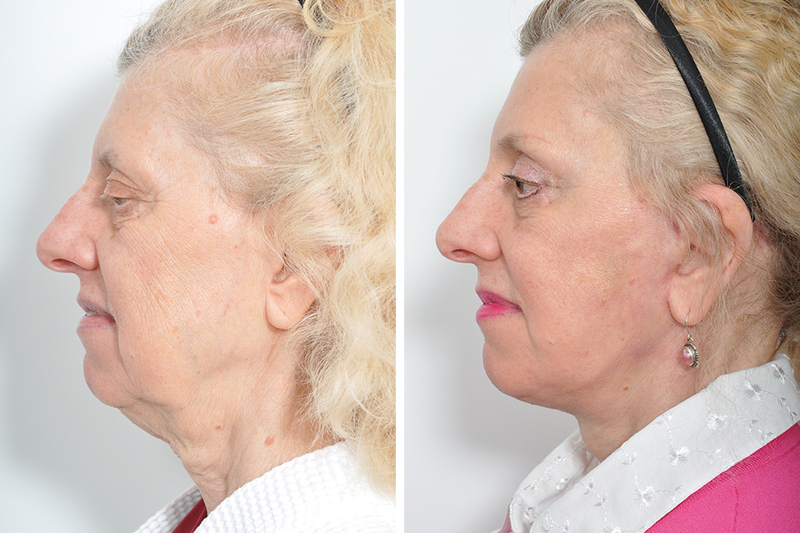 Otoplasty is the medical term for the procedure that corrects this cosmetic complaint. 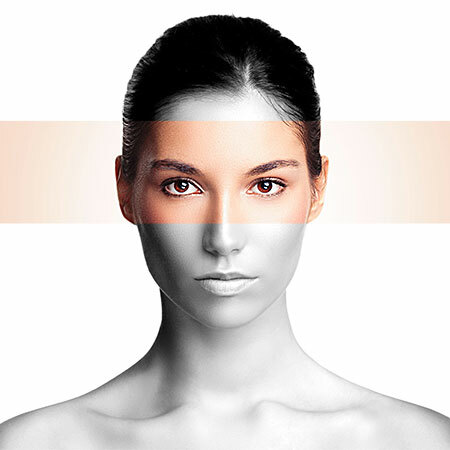 PRP Therapy and Hair Restoration Surgery. 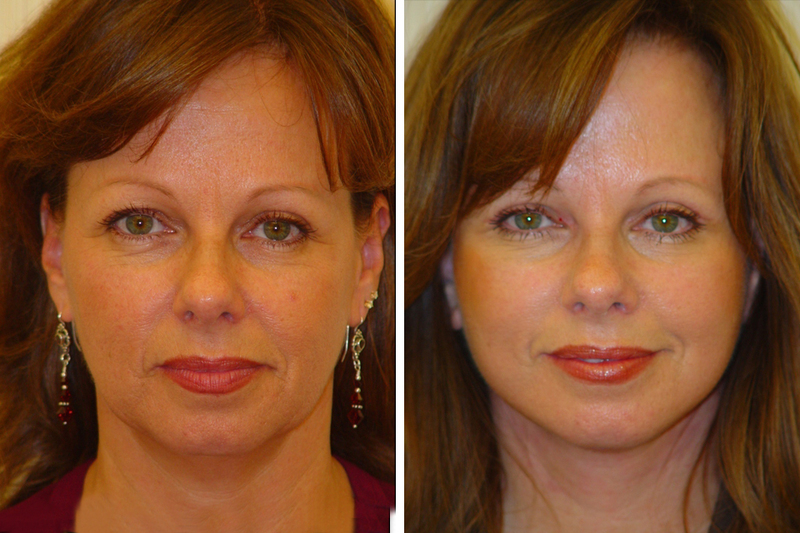 If you are bothered by thinning hair or thinning eyebrows there is so much we can do to help. Hair transplantation surgery has improved remarkably in the past decade and reassuringly the days of “plugs and corn rows” are gone. 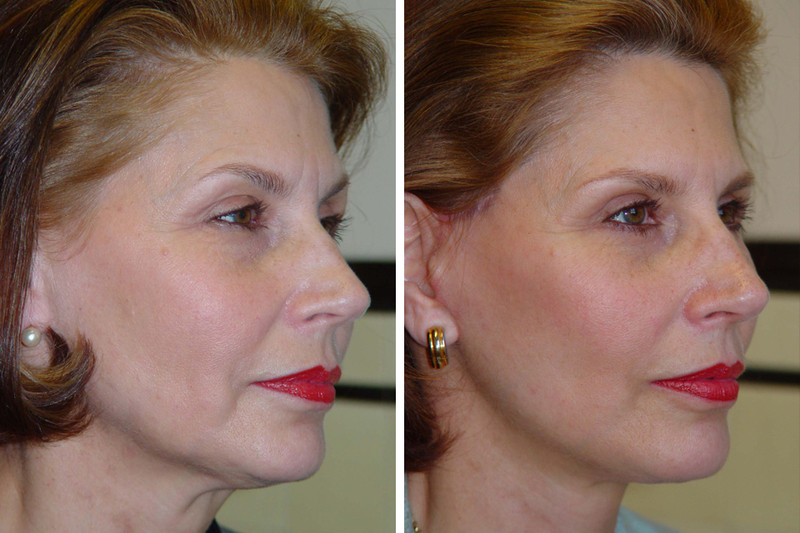 Instead, Dr. Rosenberg creates natural appearing hairlines with a technique called follicular unit transplantation. 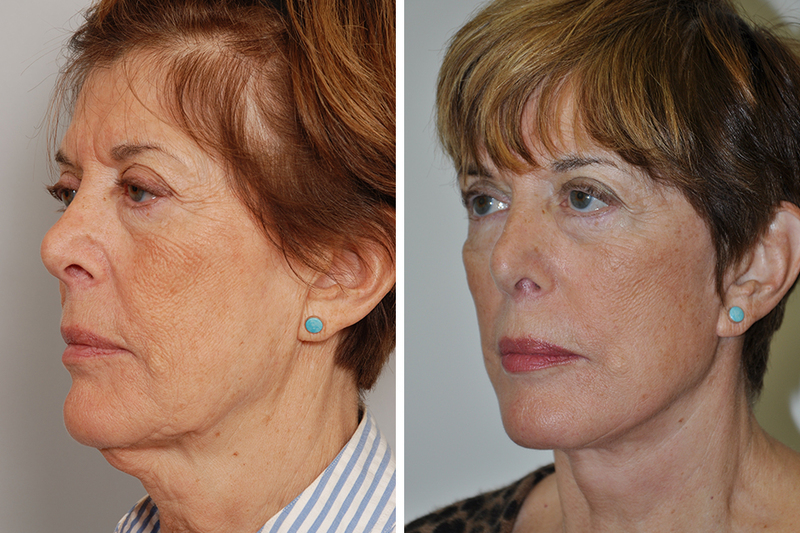 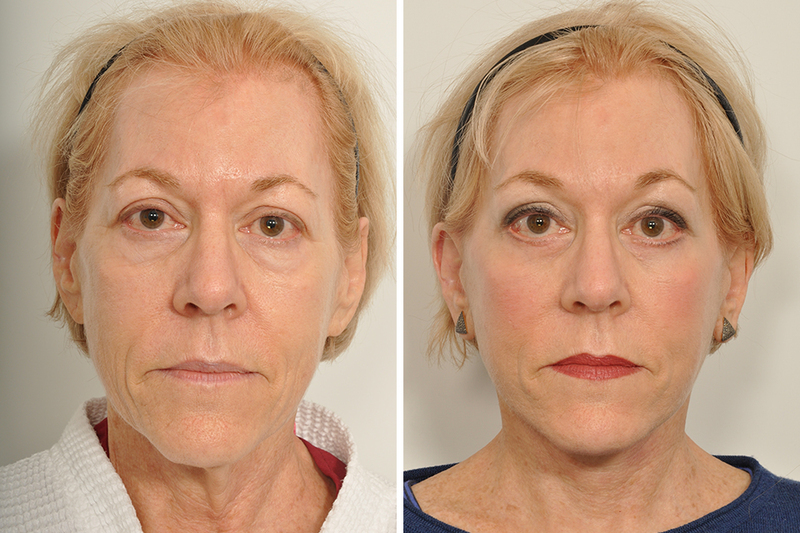 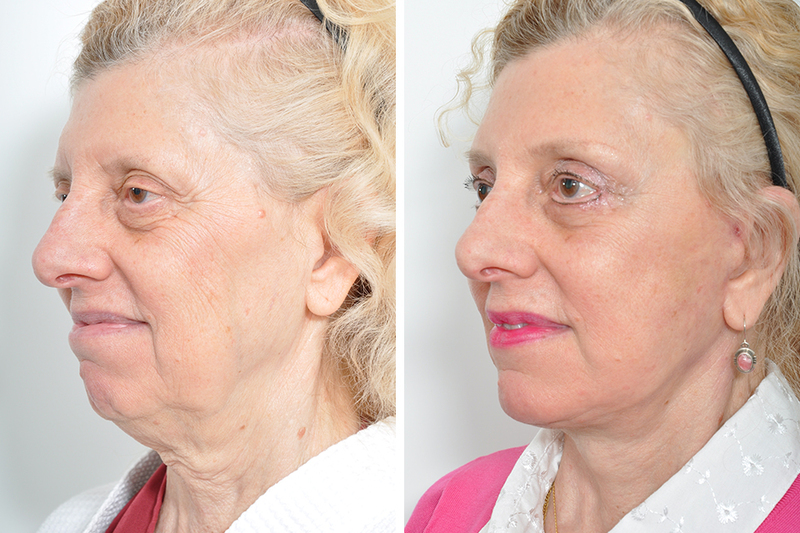 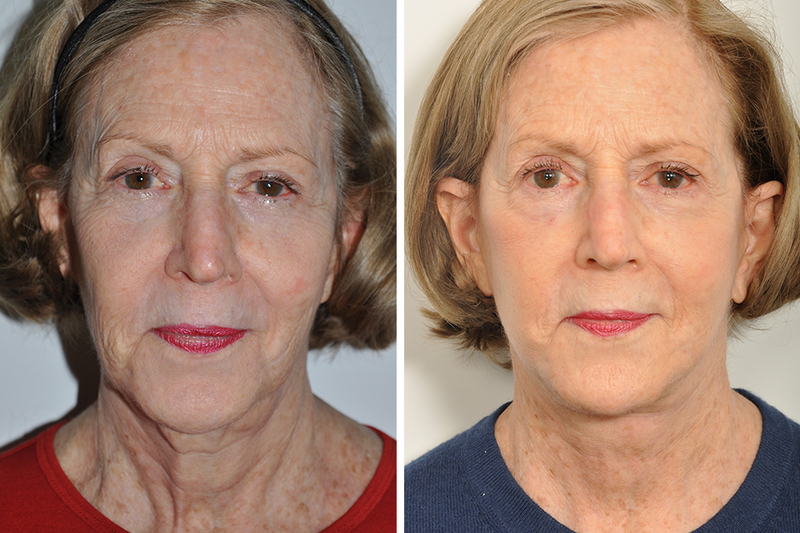 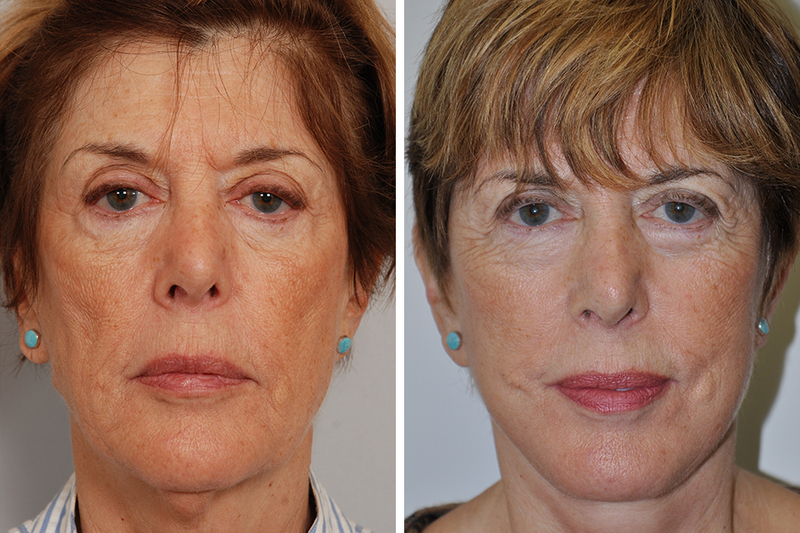 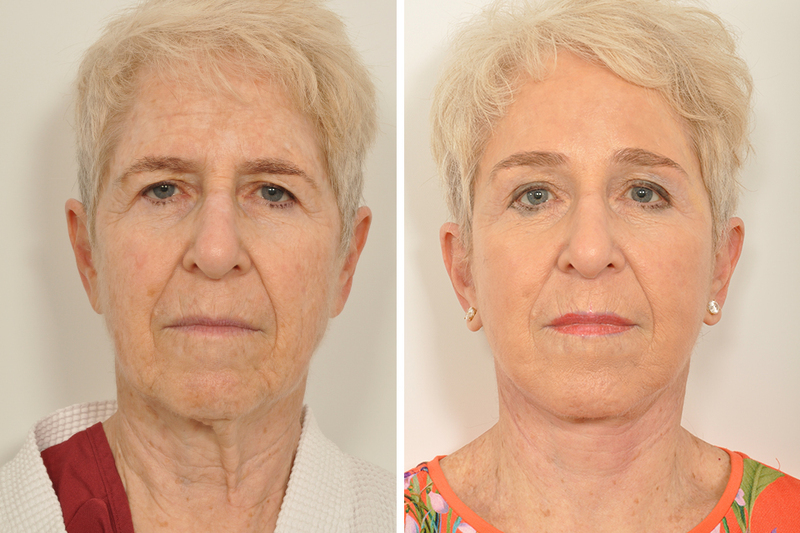 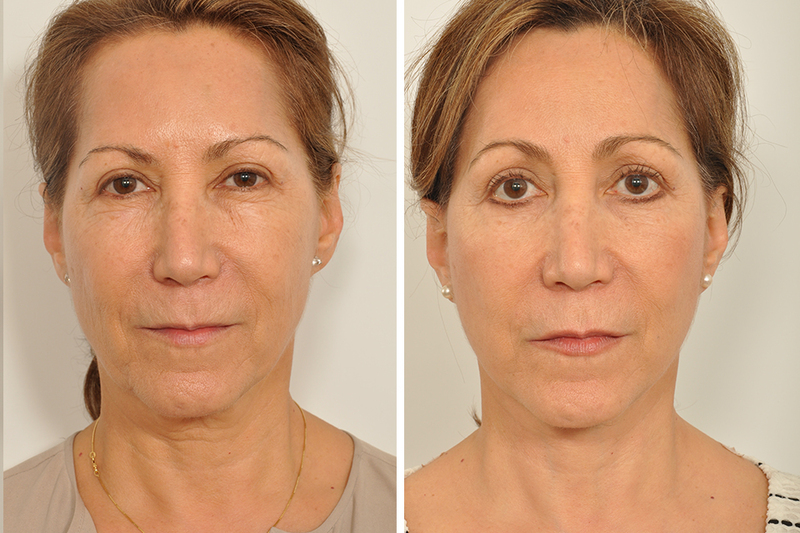 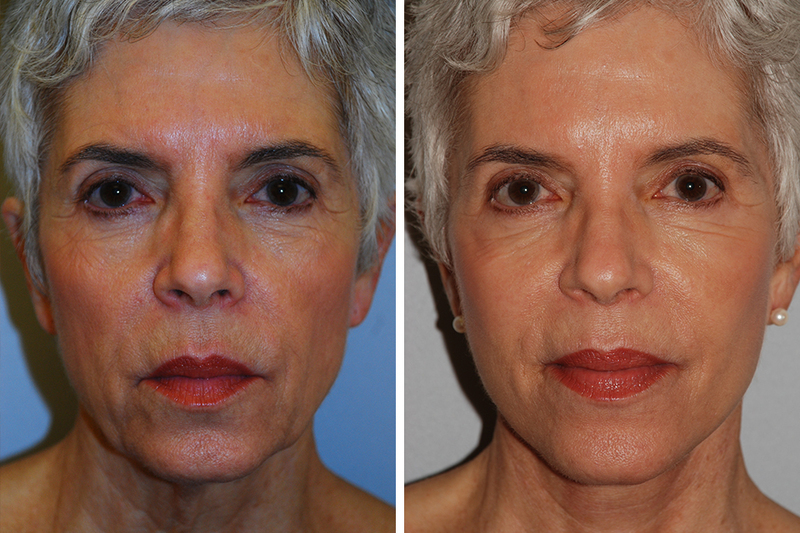 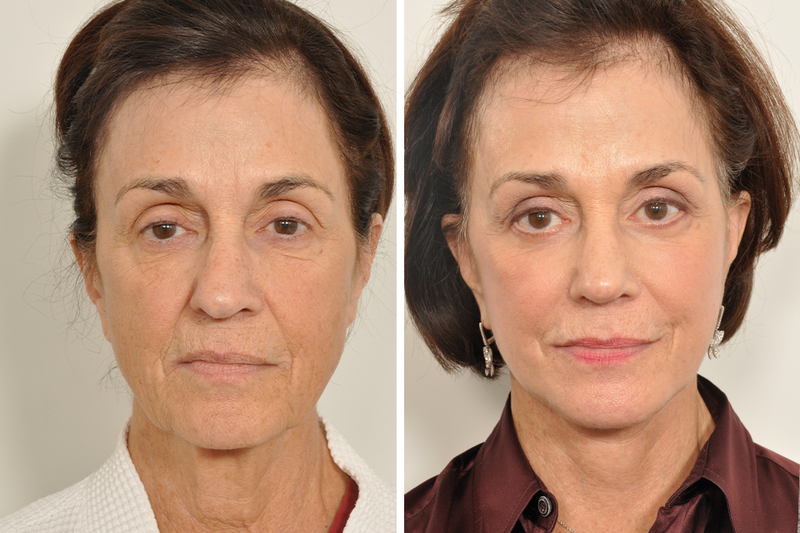 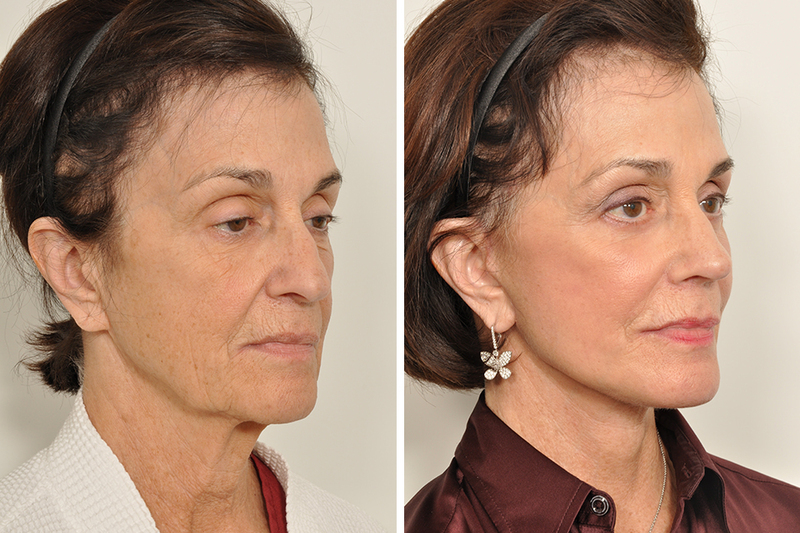 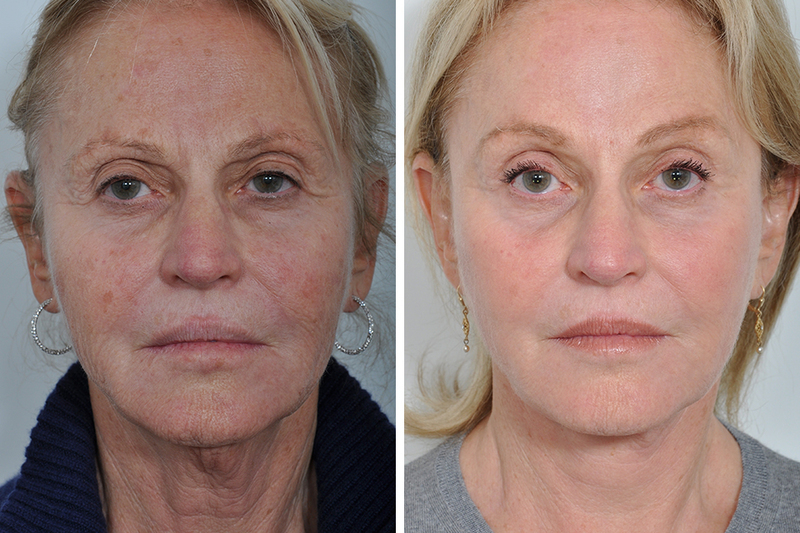 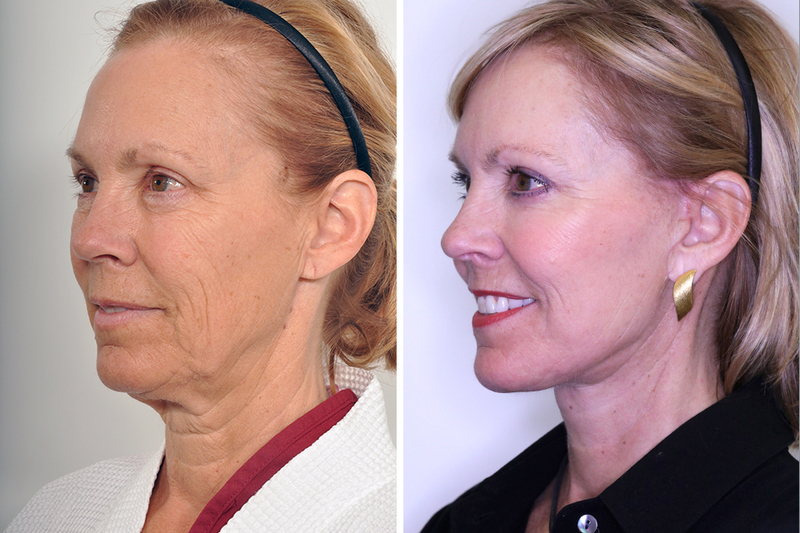 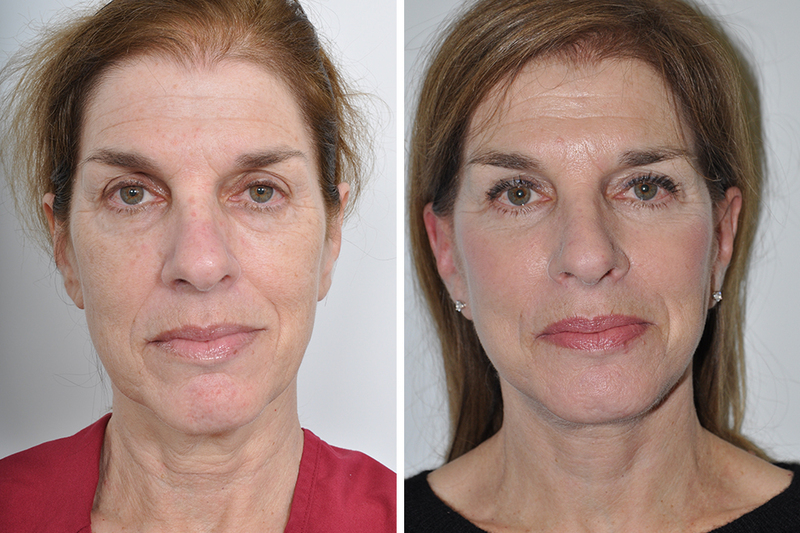 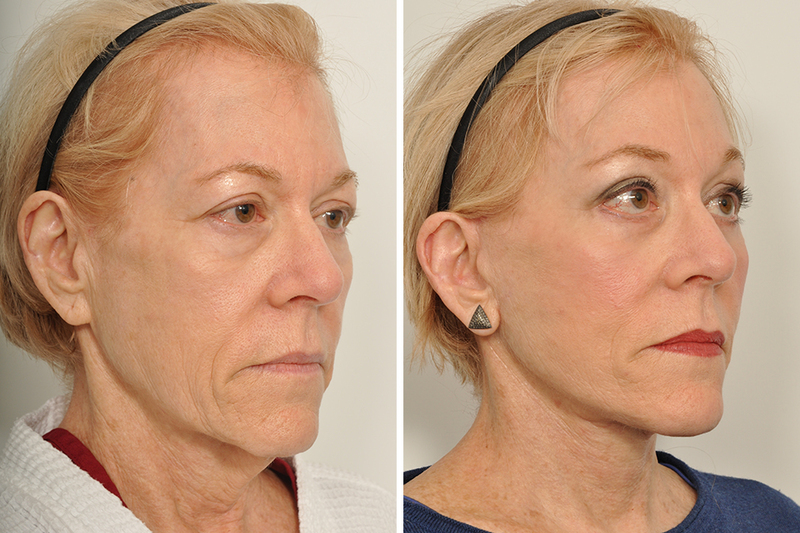 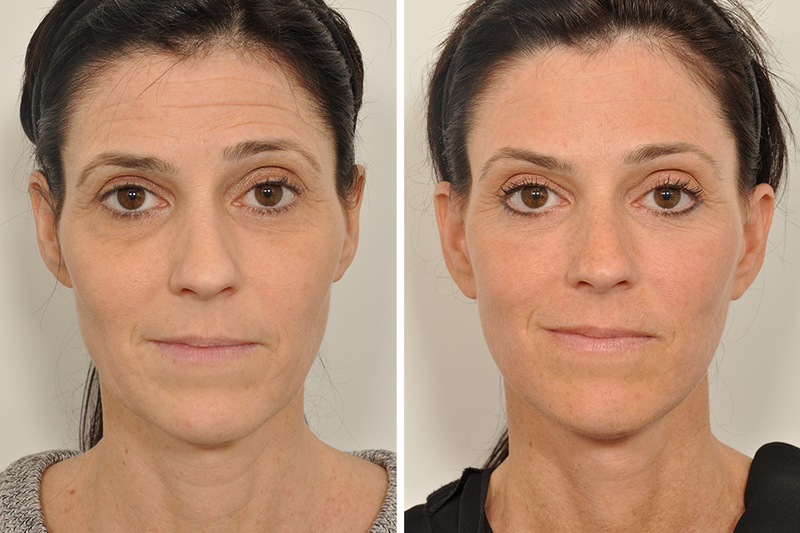 Before and after facelift, browlift, and upper and lower blepharoplasty. 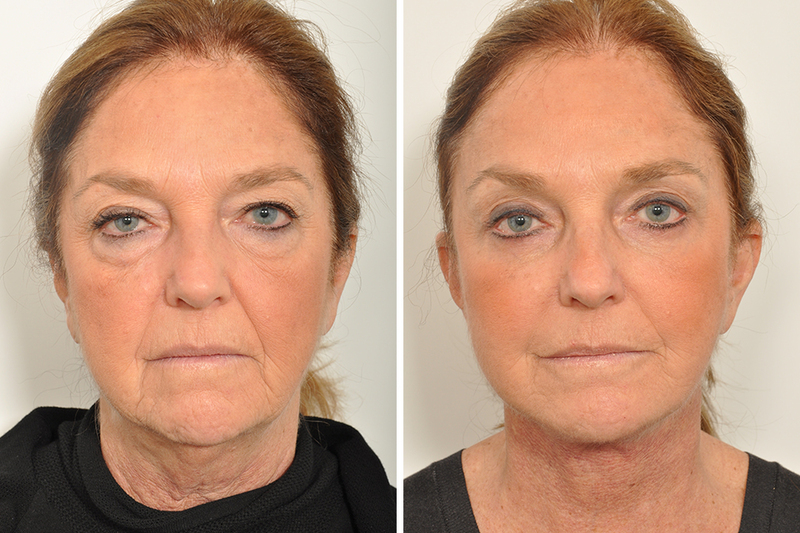 Before and after Facelift / Blepharoplasty 7 Weeks Post-Op. 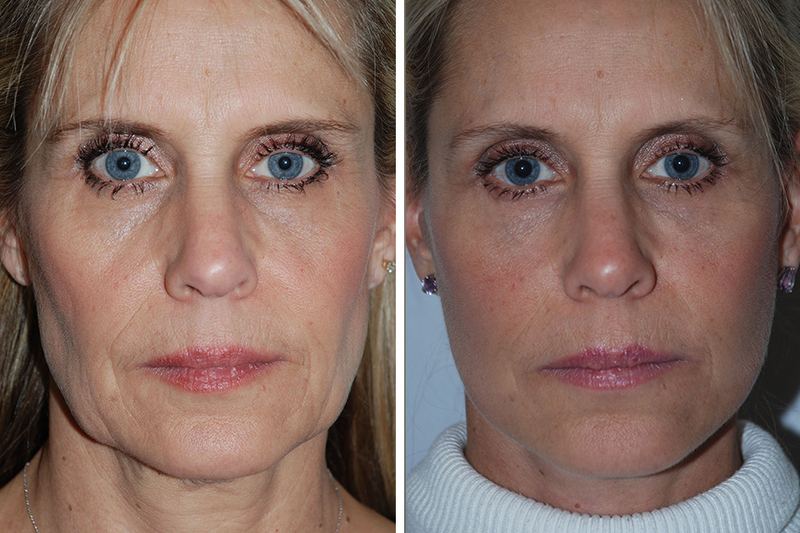 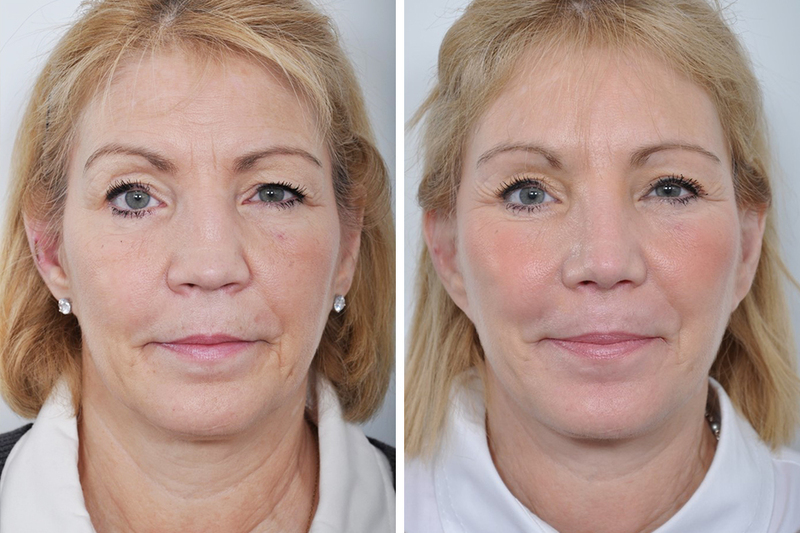 Before and after Facelift, Upper and Lower Blepharoplasty. 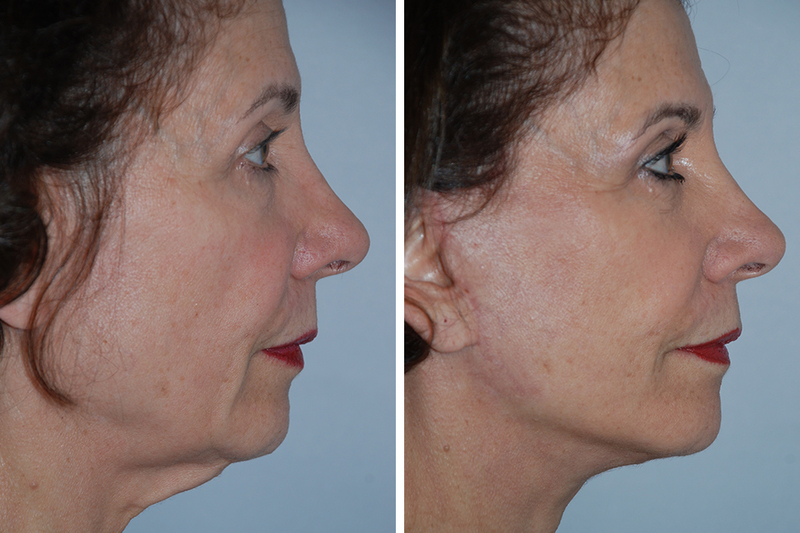 6 weeks post-op. 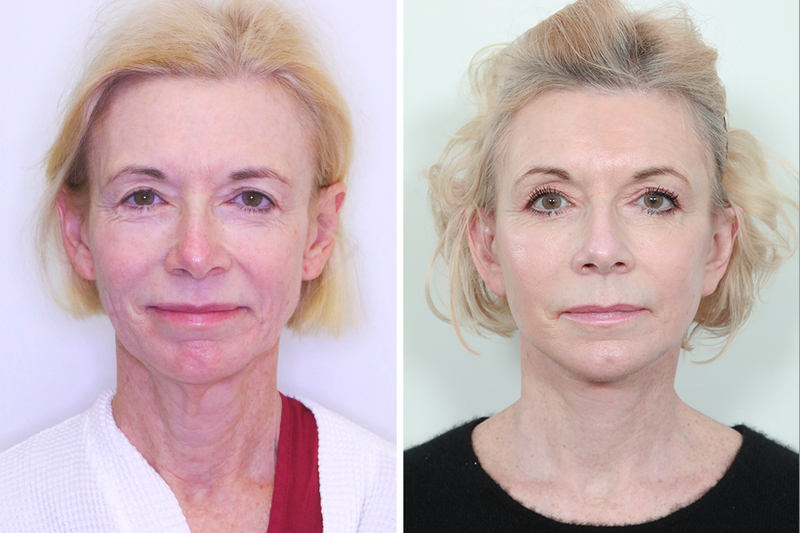 It is with great appreciation of your surgical talent and aesthetic judgment that I write this letter – what a happy girl am I! 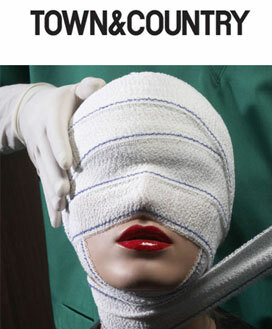 Going undercover after surgery is easy when you do it in the comfort of your own home. 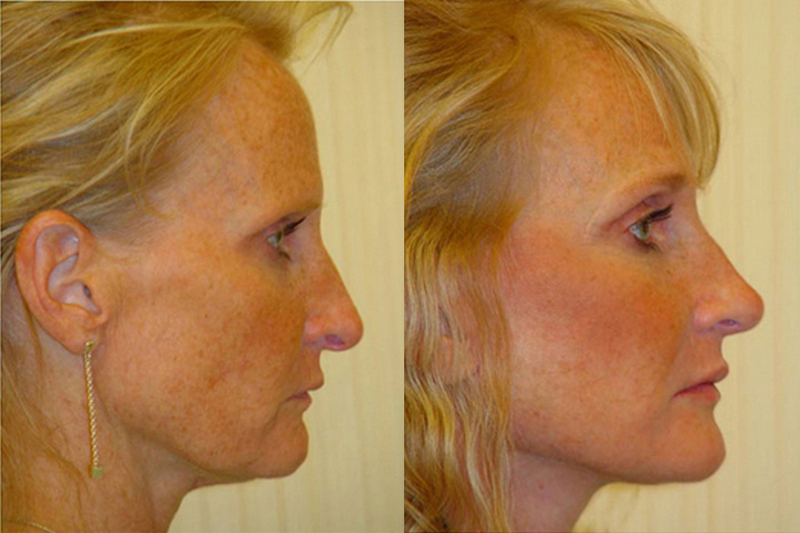 Before, you felt better then you looked, and now, you look better than you feel. 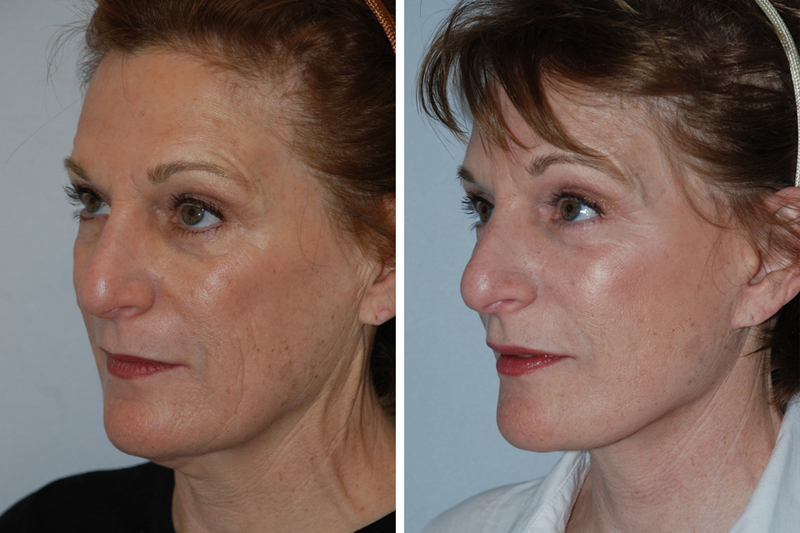 What’s the best ROI when you want to get 10 years back on your face, in your life? Holly Millea does the math. 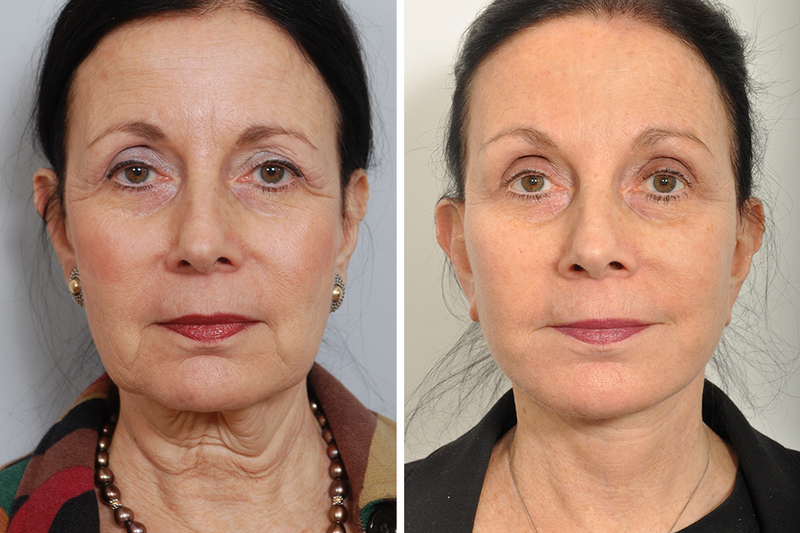 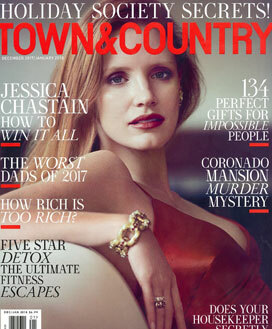 New York facial plastic surgeon, David Rosenberg, shares his five things to consider. 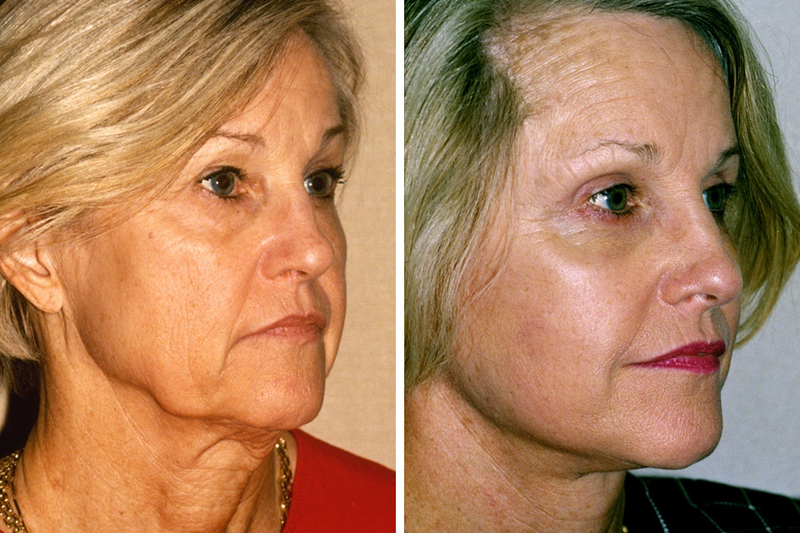 In the war against the wrinkle, old-school surgery is losing out to non-invasive procedures.